Judy Cone Staton age 73, went to be with the Lord on Thursday April 30, 2015. Judy passed away at her home surrounded by her loving family. Judy was born in Nash County and worked for many years taking care of children. 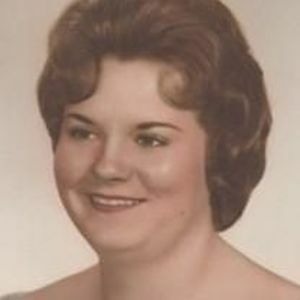 Judy was preceded in death by her father Carlie Wilbur Cone and mother Ruby Finch Cone, a brother Danny Marshall Cone and sister Patricia Morris Cone. She is survived by her husband, George Milton Staton of Nashville/Red Oak; sons, Dwayne Kendall Staton of Rocky Mount wife, Amy Greene Staton of Rocky Mount; grandson, Zackary Alexander Staton of Rocky Mount; son, Terrence Anthony Staton of Nashville/Red Oak; granddaughter, Sophia Angelina Staton of Puyallup, Wa. ; brother, Wilbur Carroll (WC) Cone of Rocky Mount; sister, Jackie Cone Price of Holly Springs, NC. A visitation will be held Friday May 8, 2015 at 9:30 AM at the Rock Creek Baptist Church Nashville. A Memorial Service will be on Friday May 8, 2015 at 11:00 AM at the Rock Creek Baptist Church. In Lieu of flowers, memorials may be made to the Rock Creek Baptist Church.